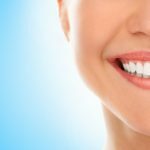 What do you need to know about gingivitis? 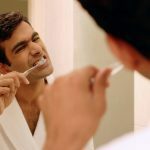 Home » Blog » Oral Health & Wellbeing » What do you need to know about gingivitis? 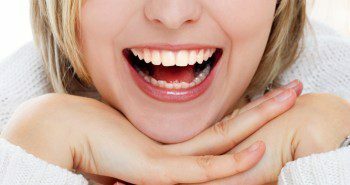 We all know the importance of taking care of our teeth, but it's just as important to take care of our gums. Our gums play a huge role in the health of our teeth so it's important not to neglect them. Gingivitis is the most typical form of gum disease and while it is usually very mild, it should still be taken seriously. Gum disease, or periodontal disease, affects around 33 per cent of adults in New Zealand according the national oral health survey of 2010. Gingivitis is the most typical form of gum disease and while it is usually very mild, it should still be taken seriously. Read on for more information on the disease and what you can do to prevent it. Gingivitis affects the gums and results in redness, irritation, swelling and bleeding in the gums, particularly when brushing and flossing. Other symptoms include bad breath, tooth sensitivity and pain when chewing. Although the disease doesn't cause discomfort in early stages, the further it progresses the more noticeable the pain will become. 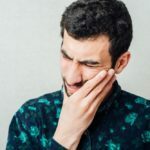 Like many other oral hygiene issues, gingivitis is caused by a build-up of plaque, resulting from inadequate or infrequent brushing and flossing. When plaque is not properly removed, it produces toxins that irritate the gums, bringing about gingivitis. At this stage, only the gums are affected and any damage is easy to reverse. However, if the disease is allowed to progress, it can affect the bones and teeth which is problematic. Because gingivitis tends to have very mild symptoms, many people are not aware that they have the disease. In spite of this, it's important to recognise that gingivitis is quite serious. If left untreated, it can lead to much more severe gum diseases such as periodontitis, which causes major gum recession, decay and tooth loss. "Your gums are very vascular, meaning they're full of blood vessels. And, your mouth is full of bacteria. If you disrupt the gum layer even a little bit, you're going to get bacteria in your bloodstream, which can go anywhere and trigger inflammation throughout the body. Inflammation is one of the main things that cause damage to blood vessels, including those of the heart." In other words, gingivitis may lead to more than just periodontitis. 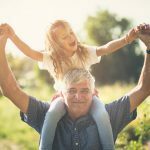 How is it treated and what can you do to prevent it? The most common signs of gingivitis include bleeding or receding gums. If you notice these symptoms or feel that you may have gingivitis, schedule an appointment at City Dentists. Gum disease treatments for issues such as gingivitis typically involves a thorough clean to remove as much plaque as possible. It may also involve adjusting or fixing crowns or fillings that can make proper dental care difficult. A good diet and lifestyle are immeasurably helpful in stopping gingivitis from happening to your gums. Using an anti-bacterial mouthwash may also be beneficial in keeping gums strong and healthy. 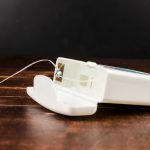 The most effective way to prevent gingivitis from occurring, particularly if you have had it before, is by adopting a regular flossing and brushing routine. Your dentist will give you more information about how to maintain a good oral hygiene routine during your appointment. The most important thing to remember? Never let gingivitis go unnoticed! What happens if you avoid the dentist? 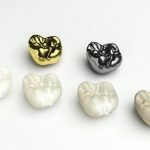 Previous postWhat’s the difference between a crown and a veneer? 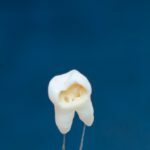 Next postWhy do we have wisdom teeth in the first place?